Women’s Empowerment, along with 100 nonprofits from across the state, was honored recently at the second annual California Nonprofits Day celebration. Assemblymember Kevin McCarty (D-Sacramento) named Women’s Empowerment Nonprofit of the Year. The award recipients were honored at a luncheon at Sacramento’s Convention Center. 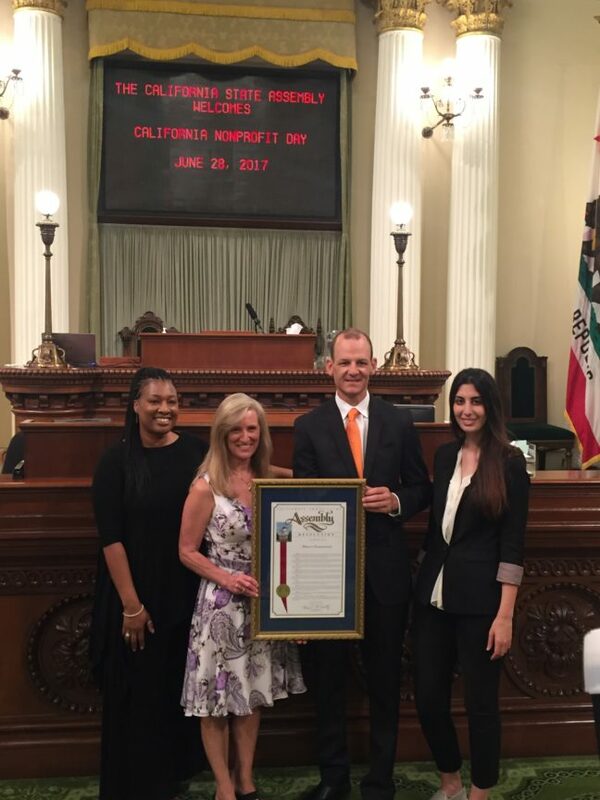 The annual California Nonprofits Day event was formally recognized by Assembly Concurrent Resolution 54, authored by the chair of the new Assembly Select Committee on the Nonprofit Sector Assemblywoman Monique Limon (D-Santa Barbara). Women’s Empowerment was featured on NBC’s The TODAY Show in 2015 for offering the most comprehensive job-readiness program in the Sacramento area designed specifically for women who are homeless and their children. The award-winning organization has graduated 1,437 homeless women and their 3,500 children since 2001. Last year, 92 percent of graduates found homes, and 81 percent found jobs or enrolled in school or training. The program combines self-esteem courses, job training, health classes and support services to help homeless women across diverse ages, races and cultures. Women’s Empowerment is funded through private donations from the community. To make a donation: www.womens-empowerment.org.